Alternatives Analysis: What Would An MBA Student Do? Exploring alternatives with disputants (the things they can do on their own away from the table) requires tact and is best done after high levels of rapport have been established. Given the sensitivity of the communications, it is often done in the privacy of separate meetings (caucuses). Another frame we often use to describe alternatives analysis, is reality checking. 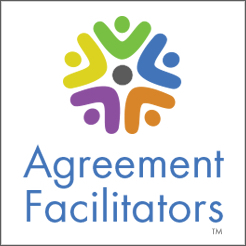 We help the disputants explore the consequences of not reaching an agreement at the mediation and make their own informed decisions. How long do you think it will take to get to trial? And, will that forum-the court of first instance-represent the end of the road if you ‘win’ in court? By the way, if you are not willing to guarantee the outcome to your client, how confident are you that you will ‘win’, expressed as a percentage? All of these questions are important reality checking questions that help the disputant explore the classic alternative (court) and are better answered by someone other than you, and importantly, by someone they trust. In a legal setting, normally that person is their attorney. But what if the disputants are not represented? As a mediator, answering any of these questions can be dangerous if only because it many appear that you have an agenda. You are trying to convince the disputant to settle because it will take so long, or because you don’t think they have a strong case. If that perception forms you will have compromised your perception of even handedness. I once mediated a dispute that involved legal issues, and for which an EEO complaint had been filed. However, neither the complainant-a high ranking employee who was still employed, nor the manager were represented at the mediation. When we got to the stage in the mediation where it is customary to reality check the disputants alternatives, we stayed in a joint session, and I commented that it was actually a pity that neither side was represented in the mediation. I explained that if we were going to reach a settlement they would have to conclude that what they worked out together was better than going to court. And that answering the questions that I would normally pose to their attorneys would compromise me. They seemed to get it, but both reiterated that their counsel had told them they had strong cases. As mediators know, when impasse occurs you have to do something different. Clearly, being transparent about my dilemma wasn’t going to carry the day. I needed to change tack. It then dawned on me that while attorneys were credible in this situation, the legal issues were not that significant, and that what it really came down to was whether it made business sense for them to litigate over the dispute. I needed to introduce an agent of reality that would get them to shift. Knowing that they were both business majors, I asked, what they thought an MBA student would recommend, if they were presented the fact patterns that they had presented to me. In other words, I was asking them to write a paper on what they thought the best course of action would be. Would they recommend settling and making peace or would they argue for litigation and all out war? It worked! I could see the dissonance forming before me. Of them realizing that the brightest students would be saying, compromise, find a way to work this out and take care of business in a manner that felt fair to both. As is so often the case, once the let go of the fight and committed to working out a solution, they were able to. I’m not saying it was easy, and that they just rolled over. But they were determined to work something out before I left. As we finalized the terms of the memorandum of settlement they both joked with one another that it was those MBA students that had got them! Never discount the importance of reality checking, and of finding a credible agent of reality, even if they are not able to make the mediation!